Q. How do you feel about your fitness and physique after starting you exercise program at FIT? A. In better shape/condition now than when I was 20! Q. What obstacles, if any, did you have to over come to maintain your commitment to fitness? A. Carving out a regular schedule and sticking to it. Q. What would you consider the keys to your fitness success? A. 1. Eating right – Go Paleo! 2. Wanting to do 20 pull-ups. Q. Want motivates you through your workouts? And, what motivates you to come back each day? A. I’m motivating by the thought of seeing the last of Coach Rob and I’m motivating to come back because of Coach Rob. Q. What is your favorite workout music/song? None – I don’t need any music to have a good workout. 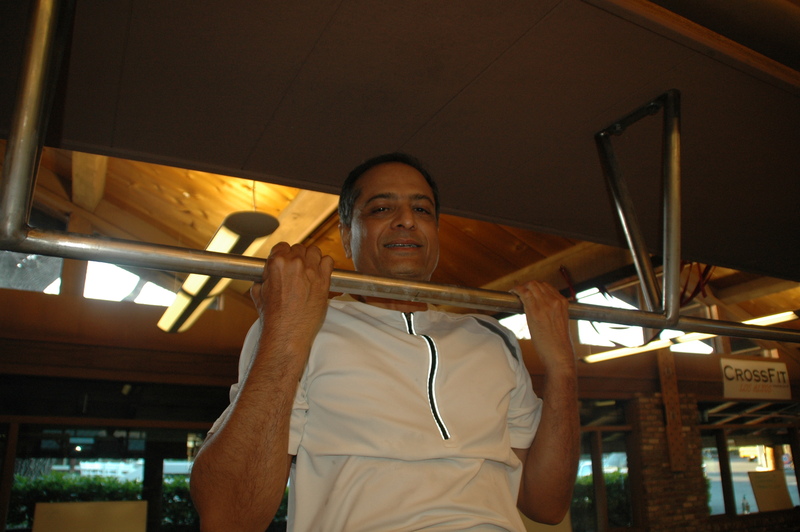 Rajesh’s commitment to his fitness is an inspiration to anyone! He has been completely committed to making positive changes into his already active life style. He has changed his eating habits by following the Paleo diet, which, in combination with his 4 workouts a week, has resulted in losing 20+lbs, as well as increased muscle mass and strength levels. 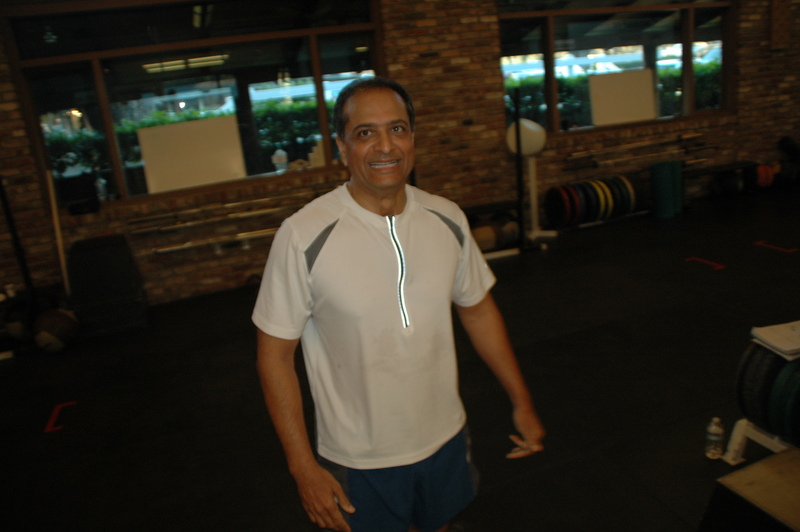 Additionally, Rajesh has lowered his cholesterol, and increased his overall fitness and energy level. He has been great to work with. He is always willing to try something different and takes every challenge on with a smile. Thanks for making my job more enjoyable Rajesh.